Milton Keynes Mindfulness is run by Mat Schencks, a long-term meditator and mindfulness practitioner. 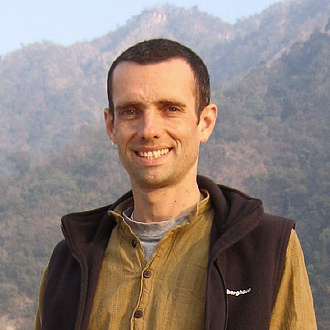 Mat has spent over 18 years studying Insight Meditation (the origin of Mindfulness) and has attended many silent meditation retreats in the UK and in Asia and teaches Insight Meditation as well as Mindfulness. As a Mindfulness teacher, Mat works closely with other practitioners , keeping up-to-date with the latest research and techniques. He is fully trained to offer the full MBCT course curriculum and has been supervised in his teaching methods. As a practicing meditator himself, Mat has first hand experience of how powerful meditation can be. It is this deep understanding that supports participants in his classes to develop their own understanding and practice of Mindfulness. Mat’s experience combined with his calm, patient and non-judgmental teaching style will give you reassurance and confidence in each of his Mindfulness sessions. If you would like to know more about Mat, or the people he works with in the UK, please feel free to contact him. Mat also offers Mindfulness-based counselling and psychotherapy. 1-1 Taster sessions and full 8 week Mindfulness courses can be tailored to your own individual circumstances get in touch to find out more.